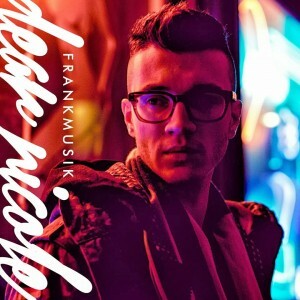 Though British pop star Frankmusik kicked off his recording career five long years ago with the release of his debut long player ‘Complete Me’, no-one could accuse him of being idle in the years since. There was an updated debut album, a 2011 LP and another last year along with a later acoustic edition. But the performer (real name Vincent James Turner) is not one for resting on his laurels, moving swiftly along to a brand new song called ‘Dear Nicole’, the video for which premiered earlier today Australian time. It’s a gorgeous song too. A straight-forward piano ballad with Frank’s crisp production and crystal vocals combining spectacularly. And while it may be a little less electro-pop than its predecessors on the whole, there’s a goosebump-inducing crescendo towards the end to keep the purists happy. Brilliantly, now independent, he can release his new music globally whenever he feels like it. Precisely what he’s done.